Kennards Hire has placed seventh in the 2018 Best Places to Work Study—a catalogue of the best 50 employers in Australia. The Kennard’s family, board and employees proudly accept this accolade, seeing the win as a reflection of their family values in business and tireless dedication to a thriving and accommodating workplace. “This win reinforces that by listening and responding to feedback from our employees, everyone wins - our people, customers, suppliers and Kennards Hire. As a result we are able to retain and attract talented people, who in turn provide exceptional service and support to our customers and suppliers every day,” Sally added. The Best Places to Work study is widely acclaimed in Australia. Based on one of the world’s most comprehensive studies of workplace culture by Great Place to Work Australia, the quality of this year’s study was higher than ever. 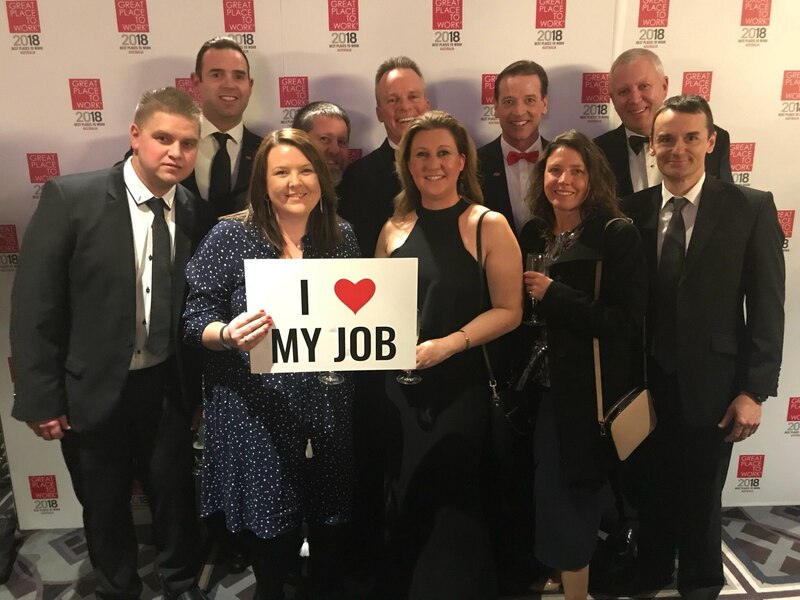 The 2018 Best Places to Work will be published in a feature insert in Australian Financial Review and www.greatplacetowork.com.au on Wednesday 29 August 2018. Interested in working for Kennards Hire? Visit our Careers page. Great Place to Work Australia, part of Great Place to Work Inc, is a global research and consulting firm specialising in workplace excellence and development of high-trust and high-engagement workplace cultures. Their proprietary research tool, the Trust Index® Employee Engagement Survey, is taken annually by over 10 million employees worldwide. Leading companies worldwide use this model to increase the levels of trust across their organisations and drive business results.